Coyote hunting is still going strong. This is mainly due to the fact that coyotes get down like rabbits. No matter how many coyotes hunters take back their corpses as prizes from triumphant hunts, coyote numbers will not dwindle. This is good for the ecosystem that relies on these large mammals to keep biodiversity and food chains in check, but this is bad news for residential areas and farmlands that are often frequently visited by the unwanted beasts. 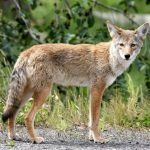 Although 2018 is still young, coyotes and coyote hunting have already managed to make the headlines several times. Mostly, the call for hunters to take on these cunning creatures makes the news, but other times, protests against coyote hunting gets publicized. 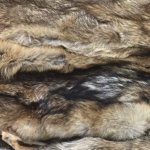 To get an understanding of the developments in both coyote hunting and coyote preservation, let’s take a quick look at some of the coyote-related news stories that have made it to our social media feeds. The 2018 coyote hunting season in Pennsylvania took place in late January of this year. 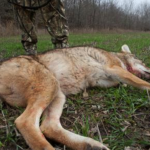 In previous seasons, thousands of dollars in prize money were awarded to hunters who managed to catch the biggest and baddest coyotes among the several thousand who registered and joined the competition. Although hunting coyotes is permitted throughout the year within Pennsylvania state lines, and even small groups of hunters often pool their money to fund prizes for mini-competitions among themselves, it’s the big stakes and promise of big prizes that draws them into large-scale annual contests. In 2018, there are a total of 26 contests planned throughout the year. The first of them were held in mid-February and the schedules for the final competitions are scheduled for early March. Most hunt competitions focus only on coyotes, and hunters are given permission to kill them anywhere in the state. Other hunts have categories for large game mammals like coyotes and foxes, and the hunters are usually restricted to shooting in few counties or in a single region. Michael Galbraith became the proud winner of the annual Mosquito Creek Sportsmen’s Association Coyote Hunt. His coyote which was shot and killed in Venango County weighs a record-shattering 53 pounds, earning him the grand prize of $9,672. 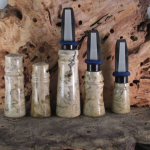 A total of 4,836 hunters registered and took to arms for this event. In the 27-year history of the competition, Galbraith took his 12-gauge shotgun and dogs with him on February 16th to find the largest catch among his peers and ended up bagging the largest-ever coyote ever recorded in the event’s and Pennsylvania’s history. Second place was awarded to Tom Sherman who found his male, 48.65-pound coyote in Tioga County. He received a $5,803.20 cash prize. Third place prize of $3,868.80 was taken home by Dustin Holl who bagged his male, 45.55-pound coyote in Susquehanna. There was also a category for the largest female coyote killed. John Sonntag won that category by bringing in a 43.8-pound coyote from Erie County. Sonntag took home a $9,672 cash prize for his prize catch. Each of the prize winners went into their respective countries equipped with 12-gauge shotguns and canine accompaniment. But more records were broken that day, as well. The total purse collected for this event was $48,360 which beat last year’s $46,340 pool. 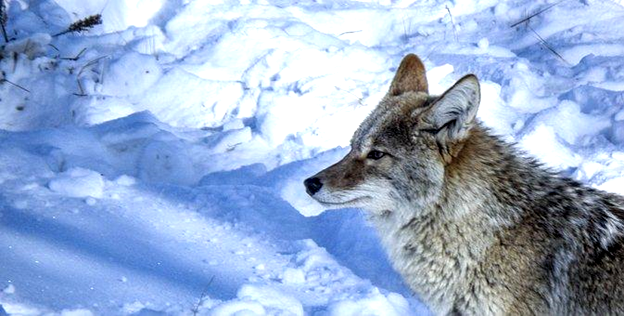 A total of 191 coyotes were brought in, and each hunter received $101 for their kill. An organized hunt in Nevada garnered attention from both the local media and protestors. Coyote hunters allege that what they’re doing is both within their legal rights and privileges, but protestors argue that the killing off of the coyote population is meaningless and morally wrong. The annual event is organized by the Wayside Bar in Lemmon Valley, Nevada. The owner of the bar told reporters that coyotes are dangerous to the livestock in the state. 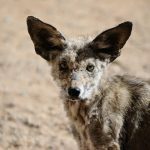 The state recognizes coyotes as an unprotected species, allowing the killing of coyotes for protection and sport without a license. However, in order to sell the pelts, you must have a license. In addition, hunting coyotes on public land requires a permit. An organized hunt such as this one in Lemmon County requires the hunters to have a permit to shoot on public land, but hunters have no plans to venture onto BLM property. Most likely they’ll search for coyotes on private lands beyond Washoe County. Jana Hofeditz, a vocal protestor of the annual coyote hunt, spoke of how unrealistic it is to expect hunters to keep off of public land. The reasons for protesting against this event is that hunters will eventually wander onto public land and that killing coyotes is wasteful since their pelts are the only things of value. She and many other demonstrators stood in front of Wayside with signs. The activists’ goal is to either the practice of hunting coyotes for sport or have the creatures classified as a furbearing animal in order to be more protected by government regulations. Series11 Sporting Goods Store and Weston Rod & Gun Club in Vermont called off the organized coyote hunt scheduled for February of this year. The reason for canceling the hunt was because of a backlash from protestors through social media postings. However, a different coyote-hunting contest was held between February 10th and 11th. This event was sponsored by Green Mountain Houndsmen Club in Franklin County. 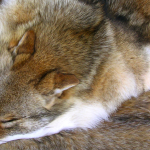 The Stowe Organization is an animal activist group that is attempting to pressure lawmakers and Louis Porter – the commissioner of the state’s Fish & Wildlife Department – to outlaw coyote hunts on the basis that they encourage the senseless killing of inedible animals. Another animal rights protection group began circulating a petition which calls for a ban on coyote hunting, either for sport or otherwise, in Vermont. They called the Series11 coyote hunt a “killing spree.” As of March 7th, there are more than 10,000 signatures, though the majority of them are from non-Vermont residents. Opponents of coyote hunting have requested all landowners who are against this type of contest to post their property, prohibiting all hunting. 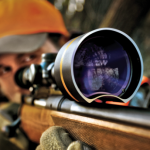 It is expected that this form of demonstration will force state lawmakers to take action against hunting competitions.